Ready to add some hand embroidery to your art work? 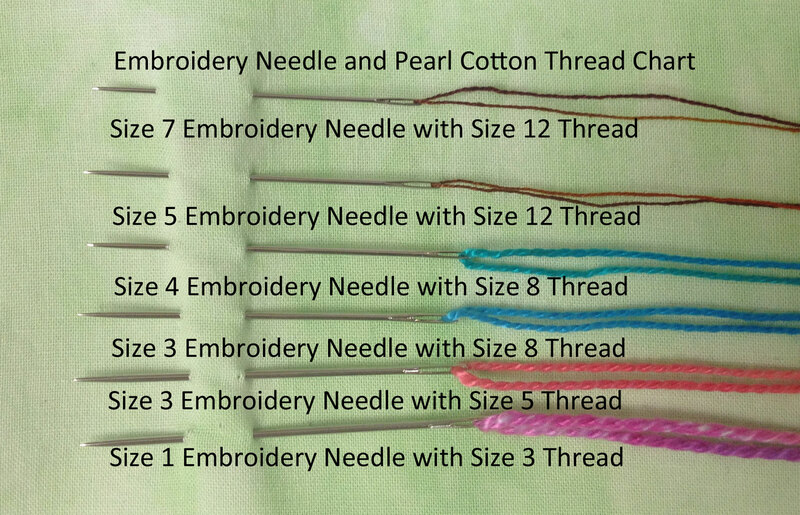 Find our handy needle and thread chart below to match the correct size of embroidery needle with the correct size of our hand-dyed pearl cotton thread. 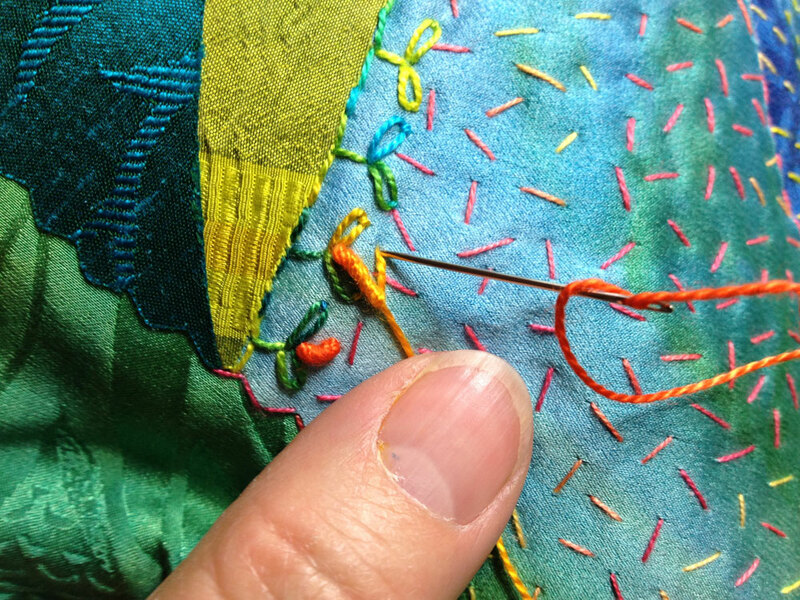 You can also find a size chart, instructions for hand embroidery on a fused art quilt, and embroidery diagrams in Laura’s book Fanciful Stitches, Colorful Quilts. Or in Laura’s new book, Joyful Stitching: Transform Fabric with Improvisation Embroidery. Note: Brands of needles may vary in length and diameter. Brands of thread may also variety in diameter.